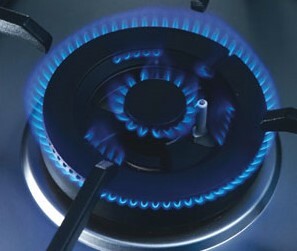 Baumatic’s high powered wok burner provides one of the leading outputs of gas power available. The dual controlled burner system produces a 5.5kW output of gas that enables you to cook food more efficiently. It is the ideal way to cook specialist foods such as stir fry’s and steaks as this high level of power will ensure food is cooked quickly whilst maintaining all the flavour. You get total flexibility with this dual controlled burner as you can also use the inner burner for precise cooking of delicate sauces or recipes requiring a longer and more controlled simmering time. A special range of hobs have been designed and introduced to the Baumatic range that gives you the flexibility and variety of cooking. Our dual fuel hobs are featured in the 90cm range and provides high powered gas burners with either induction or ceramic cooking configurations integrated in to one hob design. This truly enables you to have diversity and choice within your cooking style and preference all within one hob. 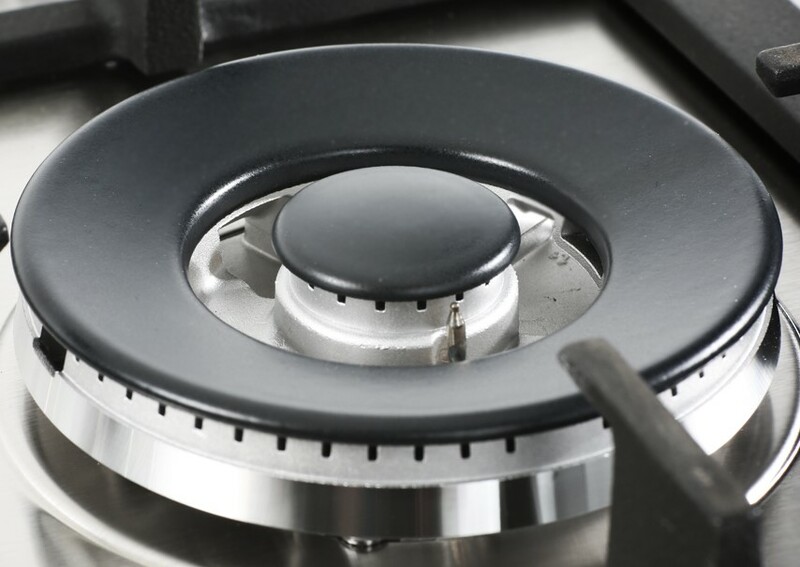 Our under knob ignition makes it even easier for you to start cooking with Baumatic’s gas hobs. The automatic ignition device is activated by simply pressing down and turning the control knob. This eliminates other manual processes to ignite the hob such as pressing more buttons or trying to find and fiddle with lighting matches. The heavy duty cast iron pan supports on our gas hobs are innovatively designed to help produce greater efficiency and safety in your cooking. These strong pan supports help heat to be more evenly distributed and provide greater stability to the base of your cook ware. Providing safety in our appliances is imperative, which is why you can enjoy complete peace of mind whilst using Baumatic gas hobs when you cook. 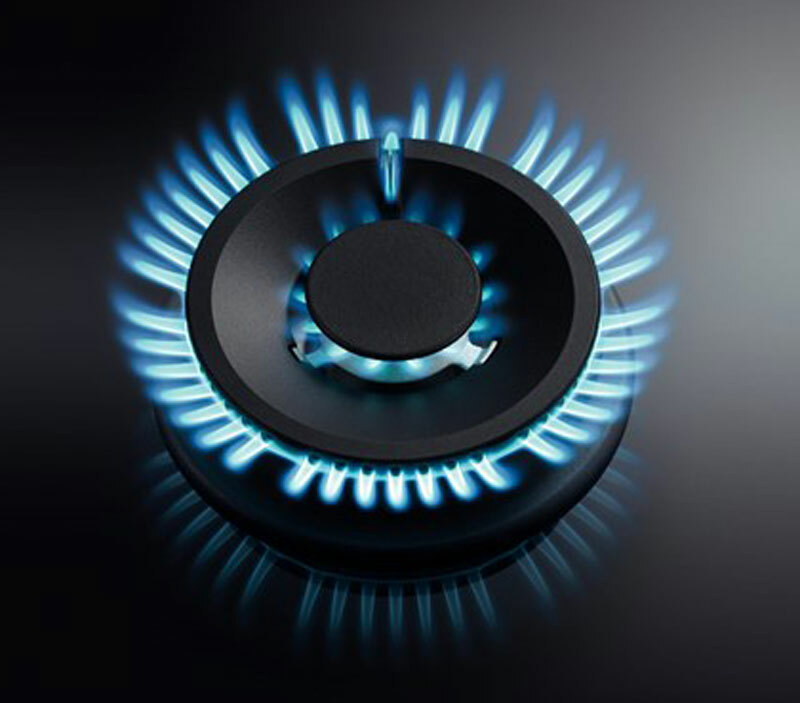 Our flame failure safety device automatically cuts the gas supply if the flame is extinguished due to a strong current of air or liquid spillage. It’s our job to ensure your safety whilst you cook so you can enjoy your time entertaining and cooking safely in the kitchen. To enhance the use of a wok, some of our Baumatic gas hobs feature a cast iron wok trivet to help stabilise the utensil and ensure an improved distribution of heat from the gas burner. 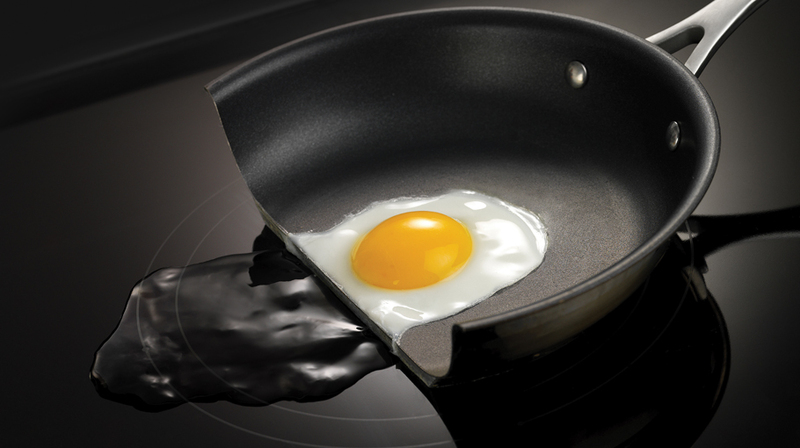 In other models, the cast wok trivet can be purchased as an optional accessory. Baumatic brings you complete flexible and versatile induction cooktops using our innovative flex zone technology. Our new flex zone cooking offers you total freedom as you can now use any shape or size cooking utensil whilst being able to cook anywhere on the hobs surface. We understand your cooking needs and now you can enjoy maximising your induction cooktop to complete all your cooking requirements. 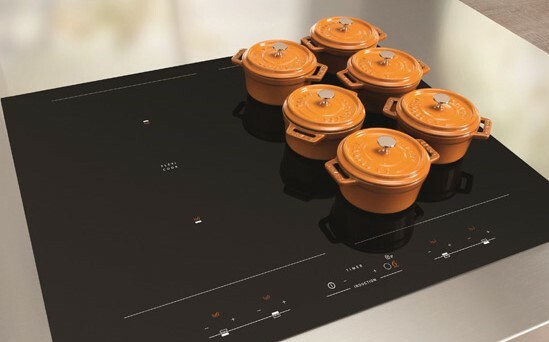 The induction flex zone cooktops are available in a 60cm and 38cm hob size. Cooking on an Induction hob offers one of the fastest and most energy efficient way to cook. The technology within an induction hob creates a magnetic field between the induction element in the hob and the pan. A high frequency of magnetic currents is sent through the hob to heat up the pan directly inside. This means that only the pan heats up rather than the cooking surface, therefore making induction hobs one of the safest cooking appliances on the market. Induction hobs have an unmatchable performance, quicker than any other type of hob, and are cheaper to run because they use only the precise amount of energy you need. 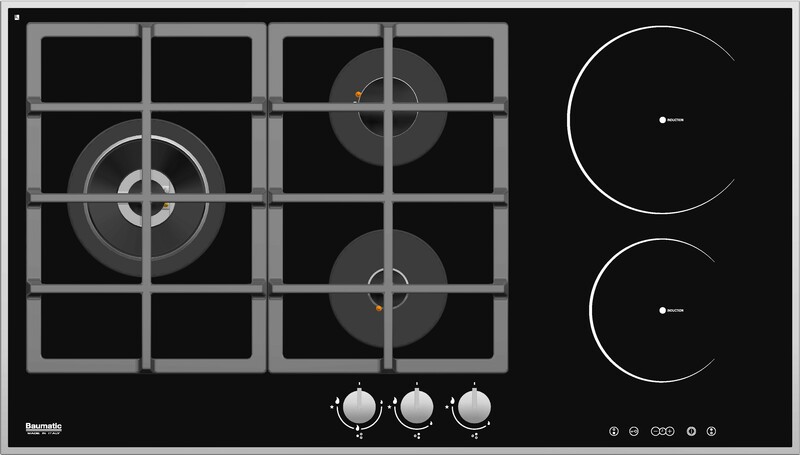 Our slider touch control ceramic hobs are ergonomically designed to make it easy to use. 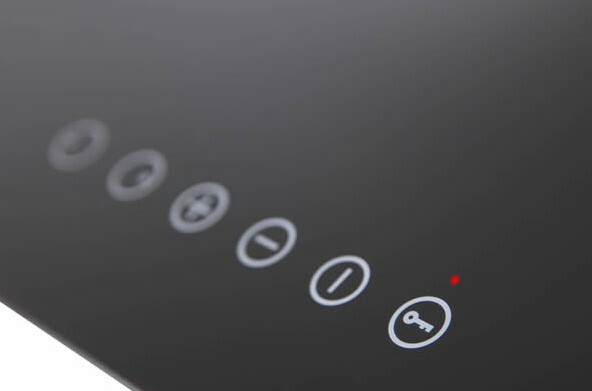 The design and layout of the controls are made to give you a simple and responsive control of your hob. 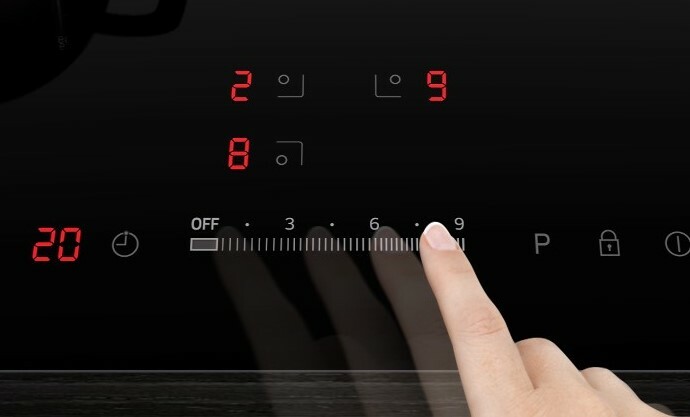 With a simple touch and slide of the control panel you will have a complete and effective control of cooking your food. 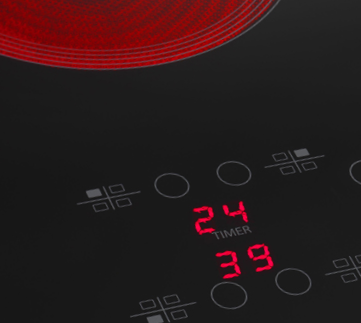 The automatic timer is a convenient feature on some of our ceramic cooktops. You can set the automatic timer to any cooking zone and it will shut down the power automatically once the timer has counted down. It can be set up to 99 minutes and is a perfect feature to help you continue doing other things in the kitchen or simply relax. 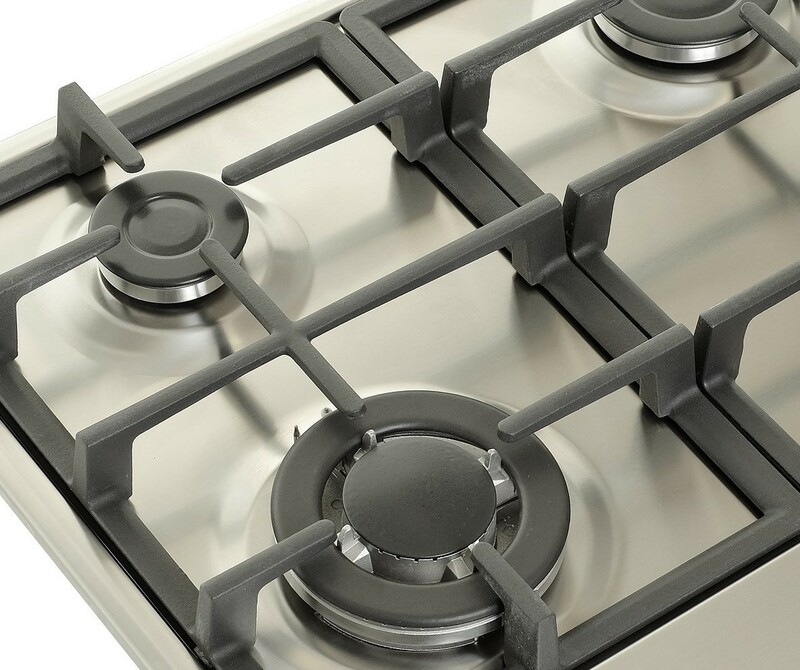 Our ceramic cooktops are equipped with a safety lock feature. This is simply activated by gently pushing the lock keys and prevents your controls from being inadvertently adjusted by any member of the family. 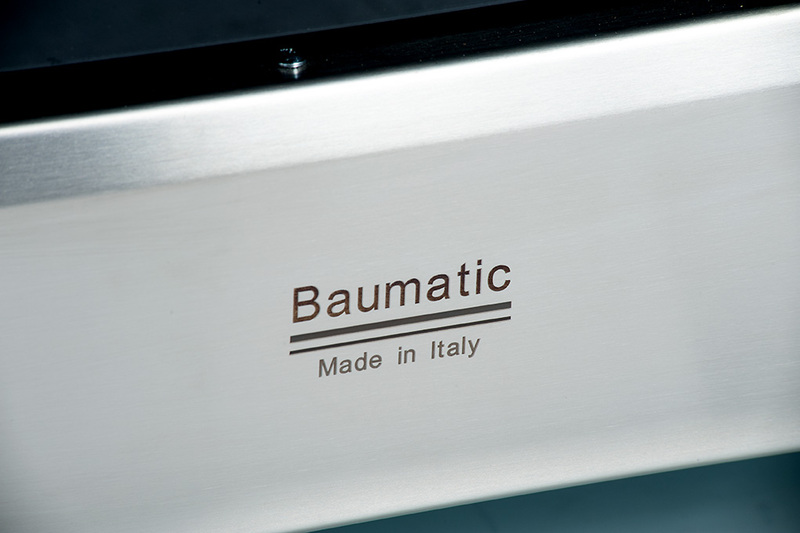 Baumatic hobs come from a pedigree of where the best appliance designers and manufacturers traditionally reside in Italy. 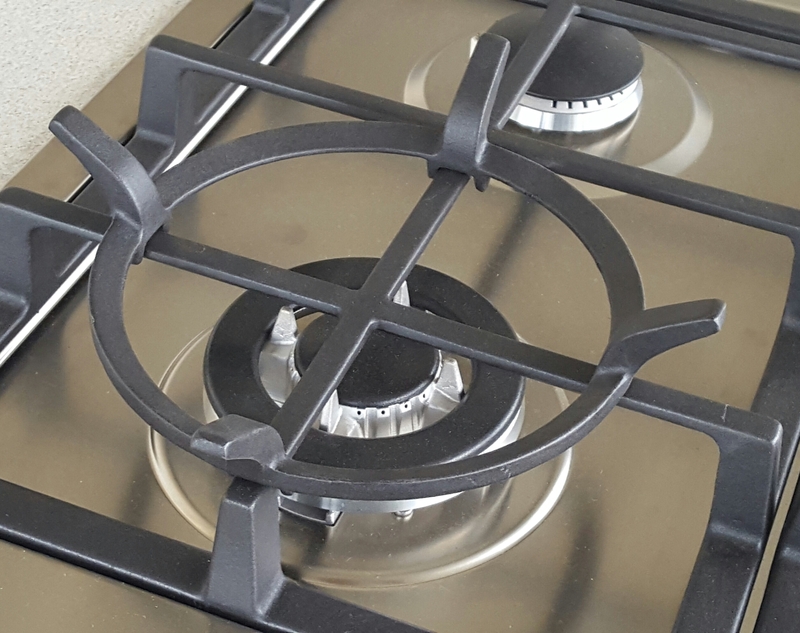 Our hobs are made to a strict standard to ensure you get the most reliable appiance available today. Expect the highest of quality and design in our hobs that will make you the envy of all your friends.